One of the reasons I enjoy coaching track and field is that there is almost no judging. No one votes on a winner. There is neither a swimsuit contest nor a Q and A after the event to help the judges decide. It’s distance and it’s time. The victor jumps or throws the farthest. In the races, the winner is the first across the finish line. It’s pretty simple stuff. When judges are involved, universally we all boo the decision. Track and field coaches know what to measure. I was at an event and a woman told me she high jumped in high school. I asked about her best. The number was impressive and we talked about how she went to a major regional championship and even considered competing past college. It’s pretty simple: Knowing what to measure lets you know what is working or not working—good or bad, excellent or poor. I knew she was very good because her mark was very good. 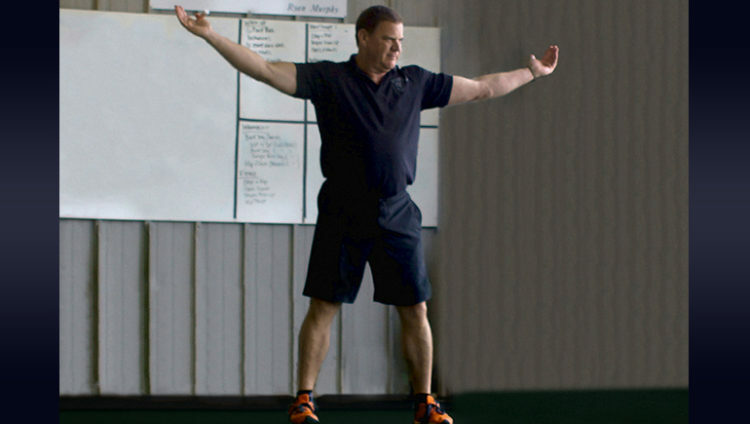 Strength coaches should stick to load. Certainly, mastery of movements and solid techniques are important, but load is how we measure things. With the human body being such an amazing, adaptable thing, measuring weight on the scale is rarely a good idea. You learn nothing about lean body mass from stepping on the scale. The waistline measurement is a key for the fitness trainer. Almost always, when the waistline measurement goes down, good things are happening with fat loss. Yes, you can buy and use very expensive machines to determine bodyfat percentages, but the waistline measurement usually does the same job far cheaper. Track coaches measure time and distance. You might be reading this and wondering: What should I measure? This is where the rest of the discussion will lead us. Sometimes in team sports, what to measure demands some thought. But for longevity, you could simply measure quality years of life. Find something to measure. Measure it. Apply practice and programming. And measure again. Then, assess to determine whether or not it’s a good measurement! One of the more annoying habits of modern parents is to come to practice and ask if the kids are doing cardio. Technically, if hearts are beating, the kids are doing cardio. That shuts everyone up, as most people only have a vague notion of this important system, as opposed to the “unimportant systems” that keep us alive, and we can continue running 400-meter repeats. There is a need for an arm day, but few understand the need for a leg day or back day. Mindless aerobic work leads to mastery in sports through sweating. Core work, or lots of ab crunches, improves athletic ability. Warming up and cooling down are crucial to performance. It is an absolute must for the athlete to look the part, both physically and materially, with proper expensive gear. None of these are true. In fact, none of these are even that important in the big picture, but I sure like how well outfitted the athletes of the current generation are when they show up to practice. They might not be able to run a lap or do a pullup, but, wow, do they look good in their matching apparel. Fads tend to dominate the fitness world. Jogging, yoga, aerobics, step aerobics, Jazzercize, Nautilus and all the rest of the workouts that shall not be named dominate training, fitness and fat loss until we all come to realize these options simply don’t work. That’s a problem: We start doing something that is really hard, makes us sweaty and maybe makes us puke but rarely delivers the benefits promised. But, these methods have to work! The people on the commercial got great results! And…that is the issue with conventional wisdom: It’s based on commercials, popular magazines and hearsay. Conventional wisdom tends to be so right sometimes and so wrong at other times. The problem with conventional wisdom is that there is no measurement. Next week in the hair salon, there will be a new magazine; the TV doctor will find a new herb, and someone with shinier pants will be selling a new program. 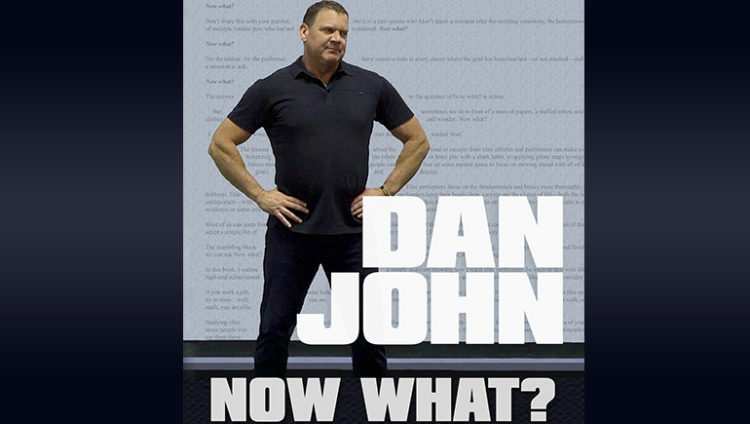 Click here to continue reading or listening to Dan John’s book, Now What?